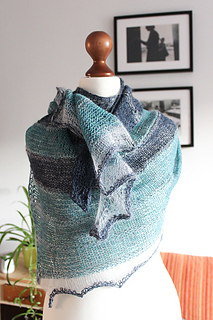 Enjoy The Ride is a boomerang shawl using three contrasting colors featuring stockinette and garter stitch. The yarn used can be easily substituted with any lace weight yarn, no matter if using multiple colors or just a single one. 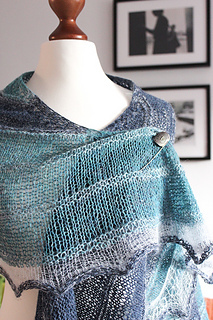 This is a boomerang shawl (shawl shape index #21). 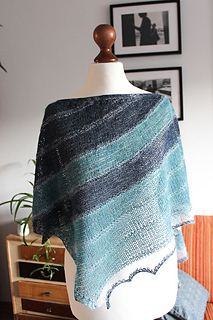 This pattern is part of Shawl Design in Plain English 2019. This pattern has been inspired by the yarn itself (I purchased it during a recent trip to Berlin, Germany) as well as the song Fragments of Time by Daft Punk.